Summer is clearly over, but no one told our tomato plants that. Our lovely little tomatoes were “late bloomers” this year; even in September they are producing the most beautiful, juicy and delicious fruit. This is very exciting news to us, as this is only our second attempt at vegetable gardening. The kids are eating them right off the vine, and Keith is busy coming up with new recipes for our bountiful tomato harvest. 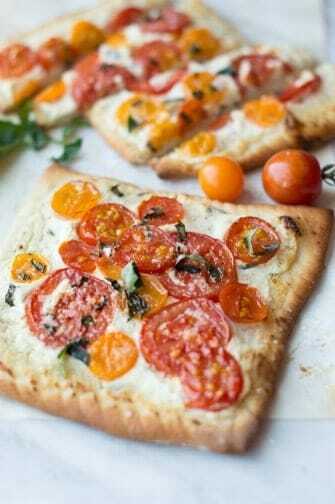 One of my recent favorites is this heirloom tomato flatbread. It is simple, light, and savory; it makes an excellent showcase for our garden-fresh gems. We have been very into homemade pizza this summer. That’s probably why we have a freezer full of pizza dough in the basement. Although Keith makes incredible homemade dough, we like having a store-bought option around as a short cut for those nights you just don’t feel like cooking. Keith layered some ricotta mixed with lemon zest and herbs onto a square crust. 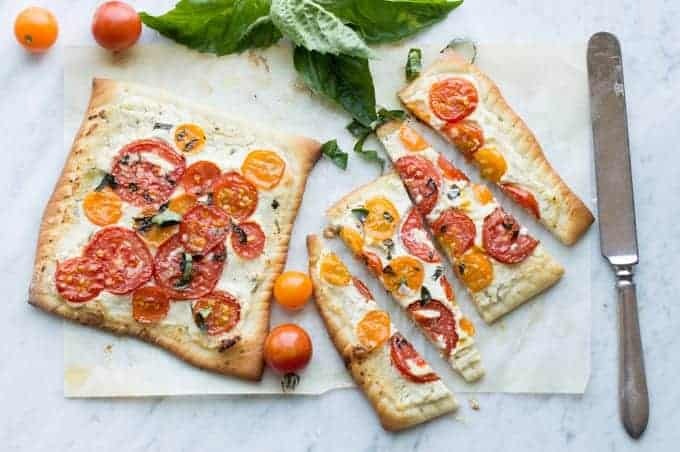 He topped it with our colorful tomatoes and basil from our garden to create an heirloom tomato flat bread appetizer that is simply to die for. 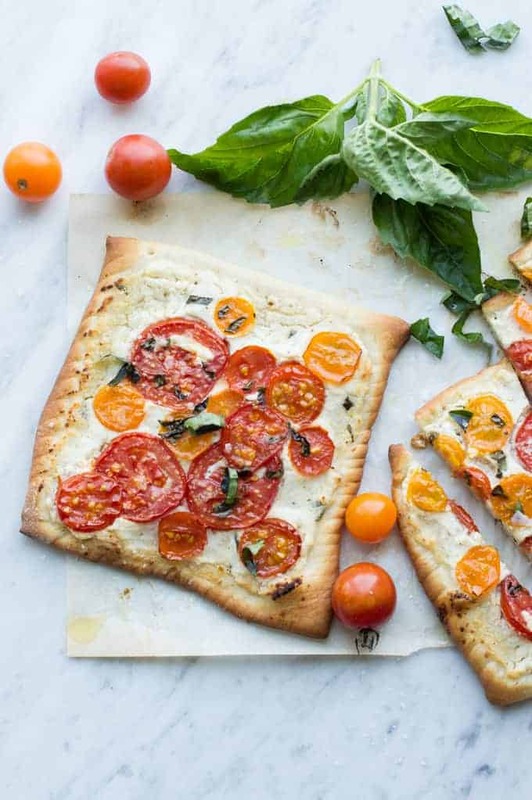 This gourmet flatbread was so easy to make, but it looks like it takes hours. I can’t wait to serve it at our next gathering. 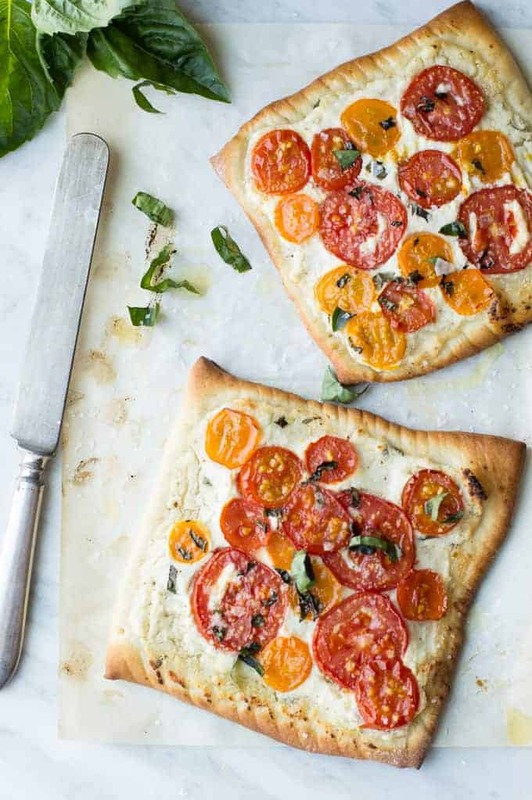 The oven-roasted flavor of our homegrown tomatoes is out of this world. Keith hit just the right note by combining them with herb ricotta. 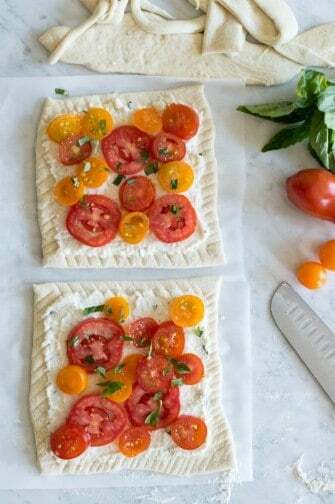 Heirloom Tomato Flatbread can be served as an appetizer or as a main dish with a side salad. Either way, it is guaranteed to please. What I love best about it, however, is that the key ingredients came from our own back yard. Not bad for two amateur green thumbs. A recipe that can be used as an appetizer or entrée served with a light salad. We use fresh and light ingredients to bring out all the flavors in this dish. In a mixing bowl combine ricotta, juice from one lemon, zest from lemon, and 3 leaves of diced fresh basil. 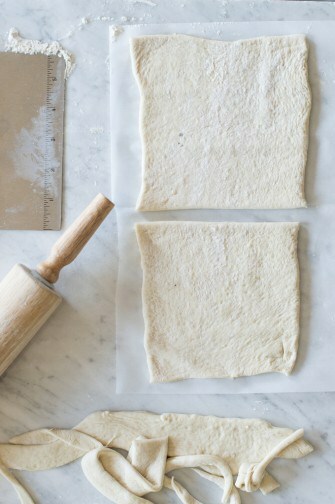 Lay flat bread on parchment lined baking pan and cover with cheese mixture spreading a layer ¼ in thick. 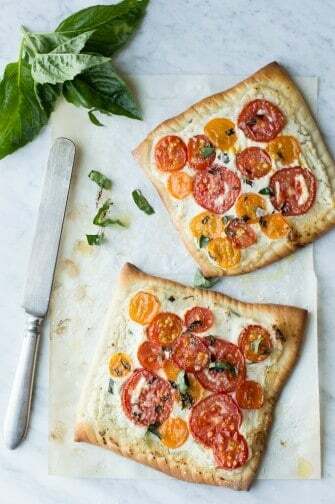 Slice tomatoes ¼ inch thick and layer on top of cheese. Using different colors and varieties helps with the presentation. Finely dice garlic and sprinkle over tomatoes. Remove from oven and sprinkle with coarse salt and cracked pepper. Hi Keith and Jackie, delighted to have you join us! 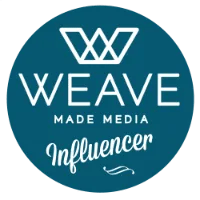 Check out https://wegrazetogether.wordpress.com OR https://clwiser.wordpress.com to thread through. Great to have you on our List!!! The response had been great by Bloggers and public. 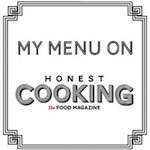 I can monitor the clicks to direct Food Bloggers on the site! Hoping it brings many to you! Your TK Bud and Best Regards from Florida, Cheryl. Pssst. It is in its infancy but I ill no doubt .com the site in the near future. How much I love this appetizer! Love the colors, the freshness, the simplicity. Here in Italy it’s still summer 🙂 , and probably when we go back to Edmonton we will still have some heirloom tomatoes in our backyard (they were late bloomers too!). What a gorgeous way to highlight their color and flavor! Thanks so much Nicoletta!! Enjoy your trip and please indulge in some great food!!! Can’t wait to read all about it!!! thanks so much for your kind words Pang! 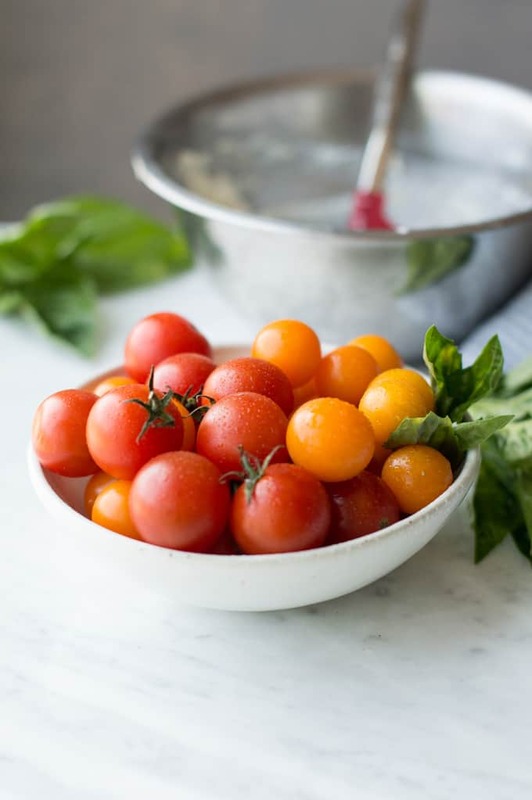 we have a few more yummy tomato dishes in the pipeline… stay tuned…. What a yummy recipe! It looks very delicious. Perfect for an afternoon snack that I thought of doing it later. Thanks for sharing. Love it!